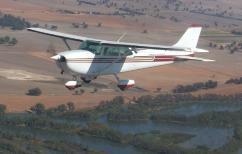 The CESSNA 172 is utilised for flight training, scenic flights and is also available for private hire. Jarden Aviation has two Cessna 172 aircraft on line. The PIPER TOMAHAWK is utilised for flight training and is also available for private hire. Jarden Aviation has two Tomahawk aircraft on line.